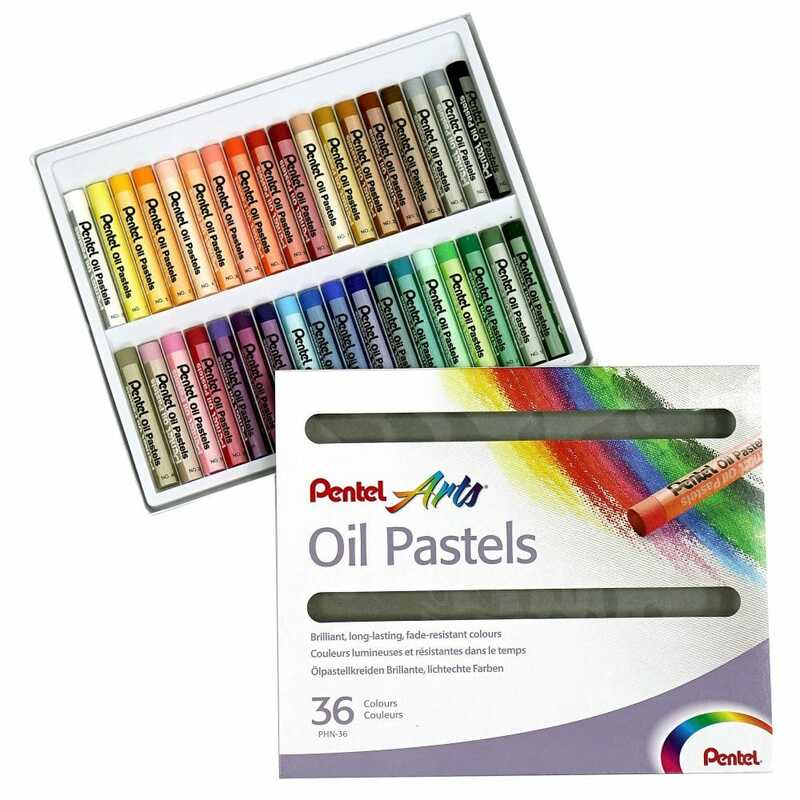 These 36 assorted coloured fade-resistant oil pastel set has a creamy-softness which makes them easy to lay down and produce varying textures. Slow drying time means you can work on a piece for several weeks. They are smooth and easily blendable when using cotton buds, fingers or tortillon for subtle shades, tints and colour mixtures (can also be used blended with mineral spirits or thinners). Suitable for most types of paper (including pastel, water colour, cartridge, craft etc.) as well as canvas, oil and acrylic boards. Useful in conjunction with watercolours, oil paints and soft pastels.